1. The iron, calcium and other minerals in eggplant supply the essential nutrients required by the body. All this, while relishing a highly flavourful veggie, is a good deal, indeed! Stuff, grill, bake, roast, stew your eggplants—they’re very delicious! 2. Eggplants contain certain essential phyto nutrients which improve blood circulation and nourish the brain. But remember—these nutrients are concentrated in the skin of the eggplant, so don’t throw it away. 3. They provide fiber, which protects the digestive tract. In fact, regular intake of eggplants can protect you from colon cancer. 4. Eggplant is low in calories, with just 35 per cup. It contains no fat and its high fiber content can help you feel full. 5. 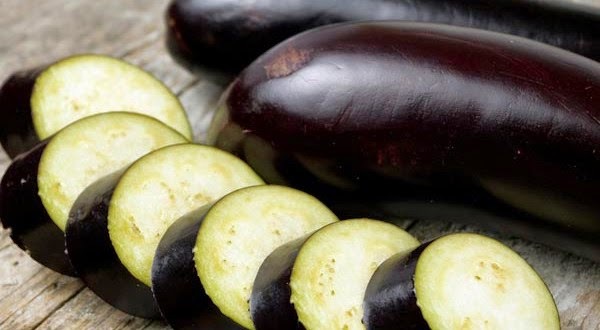 For centuries, eggplants have been used for controlling and managing diabetes. Modern research validates this role, thanks to the high fiber and low soluble carbohydrate content of the eggplant. 6. Eggplants have a role in heart care, too. Research studies show they can lower ‘bad’ cholesterol. But you must cook them the right way to get these benefits. Fried eggplant soaks up a lot of fat from the cooking oil, making it harmful and heavy. Instead, bake it at 400 degrees, which brings out glorious flavour and gives you all the goodness an eggplant holds! 7. Control high-blood pressure and relieve stress. The heart-healthy benefits of eggplant don’t end with limiting cholesterol. Eggplants are high in bioflavonoids, which are known to control high blood pressure and relieve stress. 8. Regular consumption of eggplant helps prevent blood clots. Thanks again to Vitamin K and bioflavonoids, which strengthen the capillaries of the body's circulatory system.